Karelia cigarettes are the fresh new cigarettes you have been looking for. Not only is their taste great, their price is refreshing, too! 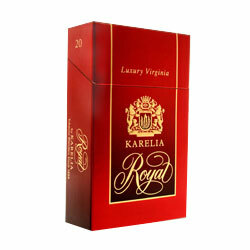 Karelia is the top tobacco company in Greece and its fine products have gained great popularity around the world. 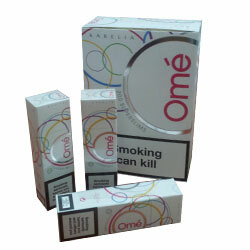 These cigarettes can be purchased at Duty Free Depot – an online shop for tobacco products which brings you tobacco and cigarettes at the most competitive prices in the market. 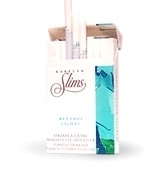 At Duty Free Depot you can choose between the many different types and flavors of Karelia cigarettes – Karelia Royal, Karelia Light, Karelia Superslims, Karelia Ome Menthol, Karelia Blue Slims and many, many more. Besides Karelia cigarettes, Duty Free Depot offers various other brands of cigars and cigarettes from all over the world – all at cheaper prices than you would find in any other shop. 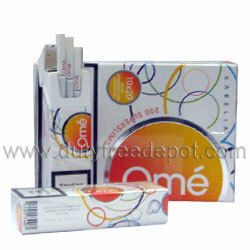 In fact, some of the brands offered on Duty Free Depot you can purchase for the cheapest price you will find anywhere. In addition, the shop enables you to save even more by offering the possibility of buying a large quantity of boxes, cartons and packets, and saving more on each item this way. Saving money on cigarettes has never felt so good. Occasionally, Duty Free Depot also offers various deals and coupons – so you may be able to pay even less for your favorite brand. Don't forget to check the website regularly for these additional discounts. Whether you live in the USA or abroad, Duty Free Depot offers worldwide shipping – All deliveries are carried out without delay and with the utmost care so that the products reach you in good condition. The service is highly trustworthy and reliable, and there is a customer support service to address any problem that you may encounter. 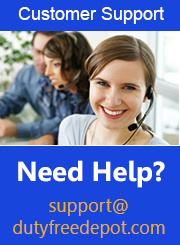 You can reach us 2:00 AM - 4:30 PM(EST) Sunday-Thursday at 1-800-865-7043.